Workshop Saturday! 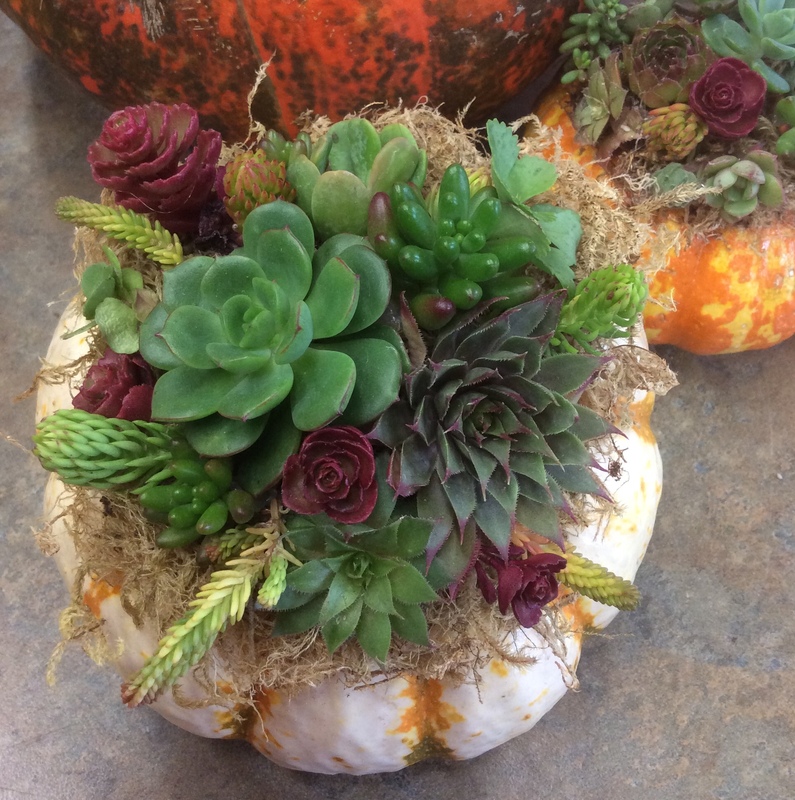 Create a living arrangement with succulents this Saturday October 6th, 2018. Sign up for an 11:00 a.m. or 1:00 p.m. class. We will provide the glue guns, moss, pumpkin and sedum cuttings. Cost is $20.00 per pumpkin. Call the Nursery 360-373-8765 to reserve your space. Class size is limited. See you soon!